An Award that honours projects that help to tackle some of Europe’s most pressing health challenges has been presented to the European Cancer Concord (ECC), a pan-European collaboration of which the IBTA is a partner. IBTA Chair Kathy Oliver sits on the ECC’s Executive Committee. 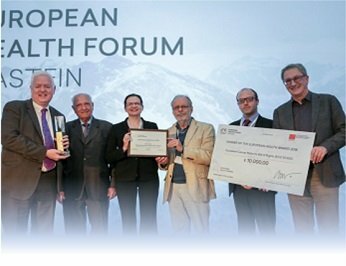 The European Health Award was established in 2007 to promote cross-border cooperation, multi-country working and the development of transferable initiatives which address current challenges with Europe such as disparities in health status, access to services and the provision of treatment. The 2018 award-winning project, entitled ‘The European Cancer Patient’s Bill of Rights: A Catalyst for Change and an empowerment tool for cancer patients across Europe’ involves an equal partnership between cancer patients, healthcare professionals and cancer researchers. One of the key outputs from the research has been the development of a 70:35 Vision: 70 per cent long term survival for all cancer patients across Europe by 2035. Professor Peter Selby, President of ECC and Professor of Cancer Medicine at the University of Leeds said: “Our 70:35 Vision is built upon the pillars of cross-border and interdisciplinary cooperation, sharing best practice and ensuring that research and innovation gets translated for the benefit of patients. The IBTA is delighted that the ECC has been recognised and honoured with this prestigious award. 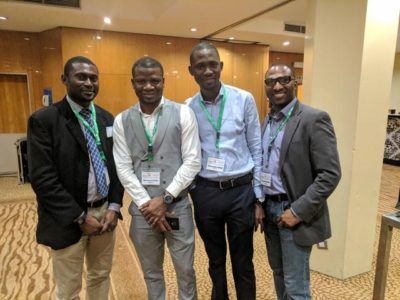 The inaugural SNOSSA meeting saw the coming together of healthcare professionals in the field of neuro-oncology together with patients, patient advocates, caregivers and others. 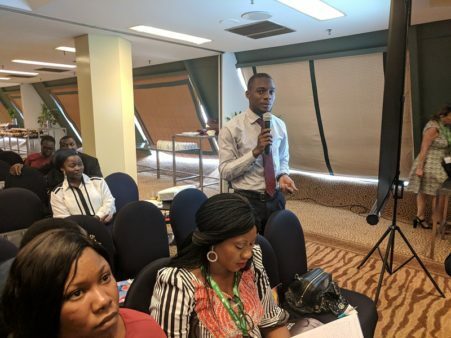 At this first gathering, in Abuja, Nigeria, we witnessed the bridging of the gap between care providers and caregivers and advocates – all brought together to the same platform to share experiences and best practices. Issues affecting brain tumour care, especially paediatric glioma, were the focus of much of the discussion, with different neurosurgeons sharing their experiences and explaining advanced techniques and technology that can improve care for brain tumour patients. Best practices were also shared from a variety of specialists from different countries. It was recognised that multidisciplinary teams are very important in the fight against brain tumours, much like they are for other diseases affecting sub-Saharan Africa. Patient advocacy is neglected in brain tumour care, as it is in other public health problems. Networking between all stakeholders is one of SNOSSA’s strengths. Different parties sharing their point of view is the catalyst for the provision of best care. 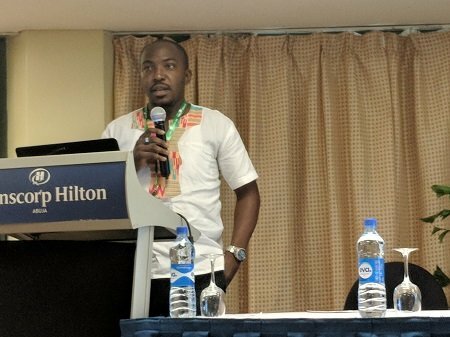 building connections between other patient advocate groups in Nigeria and across sub-Saharan Africa and sharing best practice on how to confront common bottlenecks in relation to stigma. 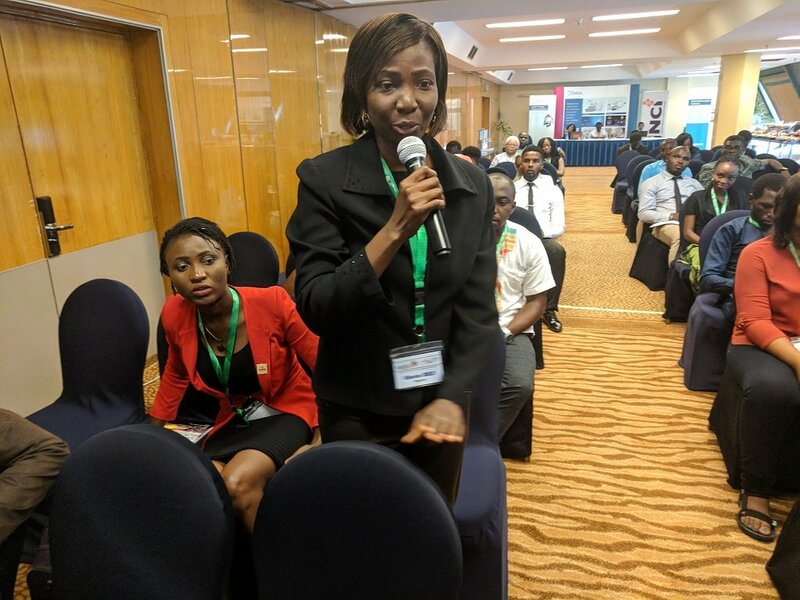 The SNOSSA meeting delegates found that there is a need for change in behavioural patterns among brain tumour care providers in sub-Saharan Africa – towards one another and towards patients – to overcome major roadblocks in providing quality care. Additionally, certain care providers don’t share information and are slow to refer. A theme emerged at the conference that there can be an attitude for care providers to appear as ‘demigods’ in front of their patients and they are not always open to refer for a second opinion on diagnosis and therapy. These behaviours lead to a breakdown in communication and vital information is lost. Delegates highlighted that some patients die early as a result of these failings. From a caregiver’s perspective, it was felt that once the diagnosis of a brain tumour is made, healthcare professionals, patients and caregivers should together discuss all of the treatment options thoroughly. For example, no information is often given on the risks involved with and without surgery. Delegates also said that information is not the same as knowledge: the source of knowledge is experience, and this experience is better fortified and valued when shared. There is also a need for brain tumour care to be patient-centred. A change of attitude to reflect this improves quality of care, referral, use of available and affordable therapeutic options and optimisation of time for better decision making. Communication between all stakeholders on different platforms and media channels was felt to be very important. Communications through scientific journals, which is where most information on brain tumours is found, are not accessible to everyone: some articles must be purchased, and the scientific language could be very difficult to understand for the layperson. There is, therefore, a great need to freely share information in understandable language that is available at easily accessible sites, thus offering a great benefit to those who are most in need. I feel that SNOSSA is adopting the best way forward: getting everyone involved at different levels of brain tumour care for the benefit of patients and caregivers in terms of their quality of life, and for scientific advancement. The first SNOSSA meeting was an event that brought great minds together to ponder on the achievements made so far and the way forward for brain tumour care. Improving the quality of care while equally advocating for people suffering from brain tumours/cancer was a key note of this meeting. The first day of the SNOSSA conference was marked by presentations of different diagnostic and therapeutic procedures of gliomas. A high rate of success in diagnosing and treating these conditions was demonstrated by all the speakers, thanks to advanced techniques they employ. Notwithstanding, numerous situations still exist that make it difficult for patients to be diagnosed early and to access care. Poor health policies in some countries are making it difficult for people to access care, due to monopolies and bottlenecks. Moreover, in some countries there are very few publications that address brain tumours/cancers, which are a means by which individuals can enrich their knowledge on brain tumours. To some extent, advanced technology for the handling of cases is absent in many countries and even when it is available, paying for equipment maintenance is an ongoing issue. Financial difficulties are a key reason for these problems and very few citizens can afford this advanced care. This is a major reason why referred patients always can end up not going to treatment centers to receive care. It was felt that individuals’ belief systems are equally a barrier to care, since many people will prefer traditional therapy or visit ‘men of God’ because they believe that brain tumours have a spiritual origin. Most importantly, there is always the tendency in the majority of cases for health care providers at the peripheral level to misinterpret the diagnosis of a brain tumour. This is seen in the numerous patients who visit many health facilities with their brain tumour going undiagnosed. Deliberations continued into the second day, which explored bridging the gap that keeps people away from care. Some major conclusions were made. These included making efforts to intensify communication in the community through social media and all avenues necessary. Getting stakeholders in brain tumour care to be part of this sensitisation movement may go a long way to bring an end to the bottlenecks that exist. It was felt that learning from brain tumour advocacy strategies practiced in other countries would make it easier to develop a model that will work across the region. Furthermore, it was highlighted that a multidisciplinary strategy is very important in the future fight against brain tumours and other cancers. 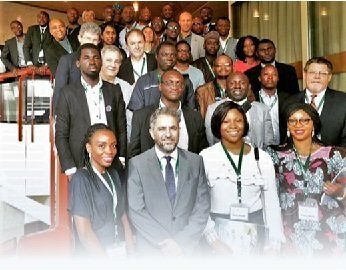 With the current challenges faced today in brain tumour care in Africa, this meeting was ideal ground for fruitful deliberation on the way forward. 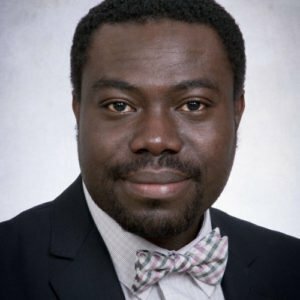 In the first in a series about neuro-oncology in sub-Saharan Africa, Dr James Balogun, president of SNOSSA, gives his reflections on the new society’s first formal meeting. 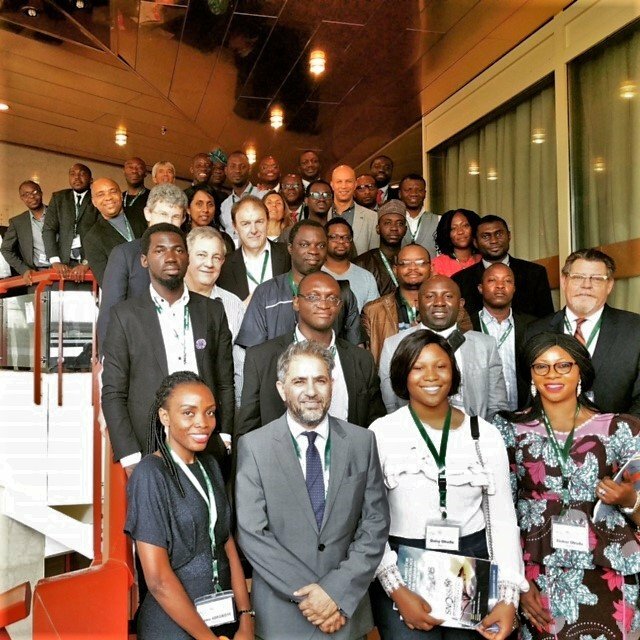 The first meeting of the Society for Neuro-Oncology Sub-Saharan Africa (SNOSSA) was held at the Transcorp Hilton Hotel, Abuja on 22-23 July, 2018. SNOSSA was borne out of the first Sub-Saharan Africa Neuro-Oncology Collaborative (S-SANOC) planning meeting in London last year (read more here), which was facilitated by the International outreach committee of the Society for Neuro-Oncology (SNO) led by Dr. Gelareh Zadeh, the International Brain Tumour Alliance (IBTA), the Greg-Wilkins Barrick Chair of the Department of Surgery, University of Toronto and the Zimbabwe Brain Tumor Association (ZBTA) with the support of the European Association of Neuro-Oncology (EANO), Indian Society of Neuro-Oncology (ISNO) and the Asian Society of Neuro-Oncology (ASNO). The meeting was attended by delegates from Sub-Saharan African countries as well as speakers drawn from the United States, United Kingdom, Canada, India and Greece. There were a variety of sessions throughout the event, covering a range of topics. These included talks that considered the landscape of neuro-oncology in sub-Saharan Africa alongside discussions about gliomas. The highlight of this session was a keynote address by Dr Rakesh Jalali, in which he concisely addressed the WHO 2016 update of brain tumours and the practical recommendations in the clinics – particularly in low-medium income countries. The session ended with a great talk from Dr Evangelia Razis about palliative care for patients with brain tumours, in which she also noted the need for care providers to give psychological support. The paediatric tumour session was kick-started by the President of the International Society of Pediatric Oncology (SIOP) Dr Eric Bouffet, who gave an exciting talk about the management of medulloblastomas. Discussion centred on adapting the care of medulloblastoma to sub-Saharan Africa and leveraging on the recommendations of SIOP. 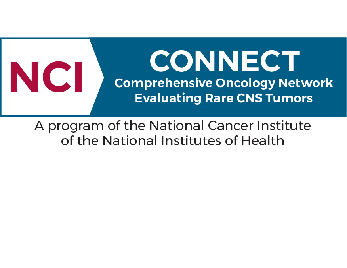 There were also insightful discussions on the challenge of caring for children with gliomas and craniopharyngiomas. 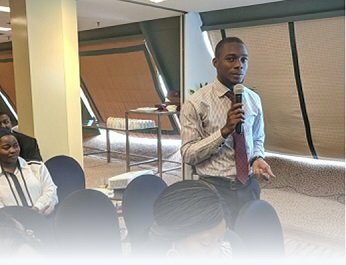 The second day of the meeting had a thrilling patient advocacy session, which was co-sponsored by the IBTA, with talks about “the physician as a patient advocate”, the challenges of advocacy in Nigeria and Sub-Saharan Africa, and the challenges faced by carers of brain tumour patients. The session brought to the fore the need for collaboration between physicians and patient advocates. 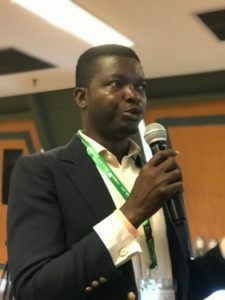 the need for increased listening and empathy by providers, and the need to document the available neuro-oncology capacity in sub-Saharan Africa to facilitate access to services. The event hosted panel discussions that looked at education, research and collaboration within and outside Africa. 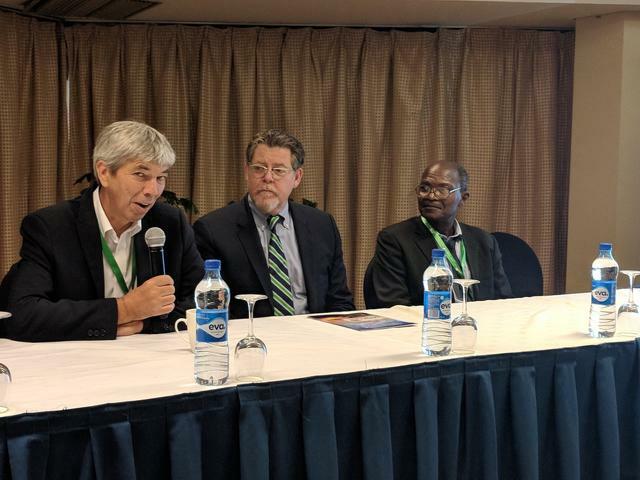 Chas Haynes, the executive director of the Society for Neuro-Oncology (SNO), explained more about the continuing support of SNO and the development of a resource to document neuro-oncology capacity in sub-Saharan Africa, which will also serve as an educational portal. He read a goodwill message from IBTA co-Director Kathy Oliver. The meeting ended with a SNOSSA business meeting, where the Society’s Constitution was adopted and an Executive Council - to be led by Dr James Balogun - elected. Two patient advocates were elected to the Executive Council: Bonita Suckling of Rainbows and Smiles in South Africa and Irene Azong-Wara of Jacob’s Hope Foundation in Cameroon. The hosting for the 2019 SNOSSA meeting was awarded to Cape Town, South Africa with Professor Alan Davidson as the conference chair. 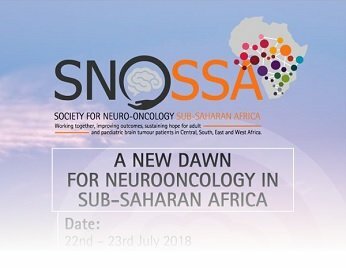 [21 July 2018] We are delighted to announce the recently formed Society for Neuro-Oncology Sub-Saharan Africa (SNOSSA) will be holding their inaugural conference, entitled “A New Dawn for NeuroOncology in Sub-Saharan Africa”, on 22nd – 23rd July, 2018.